This year brought many changes. Not least of which is Christmas in our new home. I'm excited to document the changes and excited for what the new year will bring. Merry Christmas and Happy New Year! My family is my guinea pig when it comes to testing out new camera techniques and equipment. This has always been the case with photography and is equally true for videography. This summer, I got an underwater bag for my DSLR and had a blast documenting my family at the pool and at the beach. We ventured out of Northern Virginia in July for a family vacation and I started planning for this film the moment I knew we were going. I'm so excited to share it this week! Each time I complete one of these films for my clients or my own family, I'm struck by what a moving experience it is. I love seeing my children flipping through the pages of the countless photo albums we have, but I've fallen way behind on yearly photo books. I've found that these films say more in 3-4 minutes than hundreds of printed photos can over the course of a year (especially if I'm not even printing them!). Movement, sound, and music convey so much emotion and story. I'm convinced that these family films are our modern day photo albums. What will our children remember most from this time in their lives? I've made taking video and making films a priority for vacations and trips to visit with family. My husband has films of himself from childhood and I'm a bit jealous. Childhood is a fleeting time in our lives but memories of events from that time make up a significant portion of our sense of self for the rest of our lives. Thinking about this and wondering what moments of our everyday lives our children are going to remember for the rest of theirs has given me incentive to invest more time in making personal family films for my family and for my clients. Films capture childhood characteristics, interests, and events in snippets that can be put in the context of the broader story of our family's life. Films provide a resource for our children and a glimpse into their history that would otherwise be lost, or at the very least subject to the subjectiveness of memory only. Film captures the feeling of a moment. With film, you get the sights and sounds and the feeling of what it was like to be in that moment when you were two or four and experiencing your family's beach vacation. You're dropped into that moment in time in a way that a still photo just can't evoke. I love seeing my kids flip through their photo albums and I will continue to make them (though I may never get caught up!). But seeing their reactions as they watch themselves in clips taken six months or a year ago is just priceless. Even they marvel at how much they’ve changed. I also experimented with drone footage this summer and can’t wait to share that in a future film. Three reasons why a family film is a great way to document and share your traditions. The holiday season is such a magical (okay, and sometimes hectic) time, especially with small children. And decorating with a toddler can be hilarious, as I found with this sweet Washington, DC family. Their little guy loved taking the ornaments off the tree while decorating. (May he always love cleaning up so much!) Sweet, fun, everyday moments like this at home with his mom, dad and newborn sister peacefully sleeping nearby, made making this film so much fun. An added bonus was their Chinese crested pup who made a game out of chasing light reflections that my camera made on the wall. I spent a beautiful December morning with them, as they enjoyed getting accustomed to their newest member who was just under two weeks old. Video is such a special way to capture children. They change so fast. 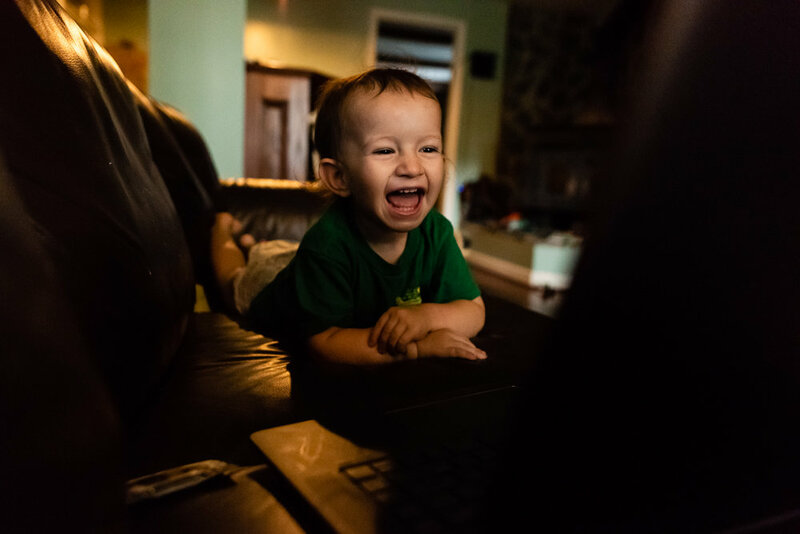 A family film becomes like a little time capsule that you open and remember little things already forgotten, like the adorable way your son pronounces his little sisters name or those crazy cute newborn yawns. I love to imagine these little ones watching this film every holiday season and marveling with their parents at how much they've been. I'm now booking a limited number of family film sessions in 2018. Contact me today to learn more about planning a film session for your family this year. 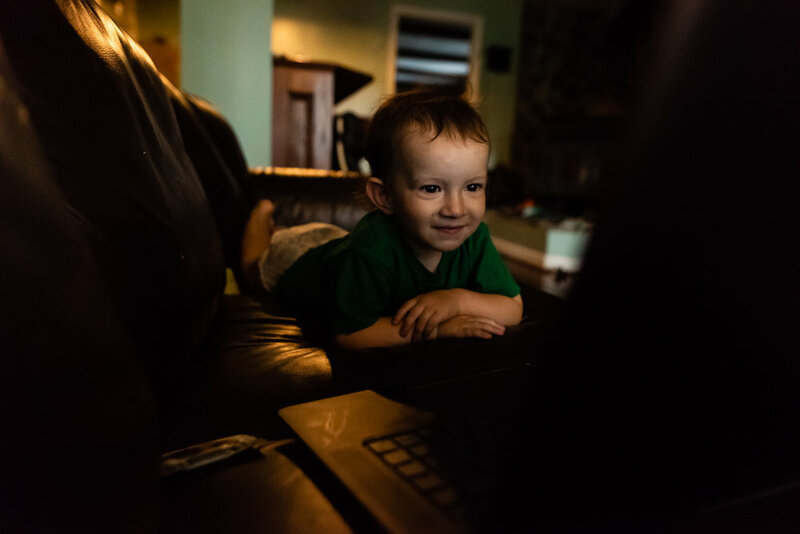 Still images are included in every family film session, so stay tuned for some beautiful images from this session that I can't wait to share! Last week, I shared this beautiful mama's maternity session on Capitol Hill. Today, I am so excited to share her baby's Fresh 48 film! This little boy arrived on a beautiful day in Northern Virginia and it was a joy to document a part of his first day. There is nothing like capturing a newborn. Everything is so fresh, sweet, and new. Even when they're squalling through frigid diaper changes! And, oh, the sounds. Those adorable squeaks and sighs! Video truly captures the essence unlike anything else! Also, I just have to say, the staff at the Women and Infant Health Center at Virginia Hospital Center were so friendly and accommodating to work with. Contact me today to learn more about documentary family films. When you have multiple children, it can be challenging to carve out one-on-one time to spend with each child. Time spent with the whole family is special, but it's also special and so rewarding to spend a little time with each child individually. It's amazing the little details and nuances you can miss during the hubbub of daily family life. One-on-one time, with fewer distractions, highlights those aspects of their personality that are changing so fast and are so fun to watch as a parent. It was such a joy to spend a morning with this mama of three in Northern Virginia, capturing some special time with her youngest child and only daughter. As a mother of two boys, it was especially sweet for me to document these mother-daughter rituals like putting on make-up and hair bows and nursing snuggles in bed after a morning of fun. Film is a special way to preserve a glimpse of family life at any moment in time. And any time is a great time to capture those details that make childhood and parenting special. It's amazing how much change you can see, even when watching a film just a few short months later. From their voice and the cute way they say certain words to the scurry of little feet so excited about life - they're on to the next thing before we know it. And it's so easy to forget! Learn more about family film sessions here or contact me to chat about a unique session for your family.